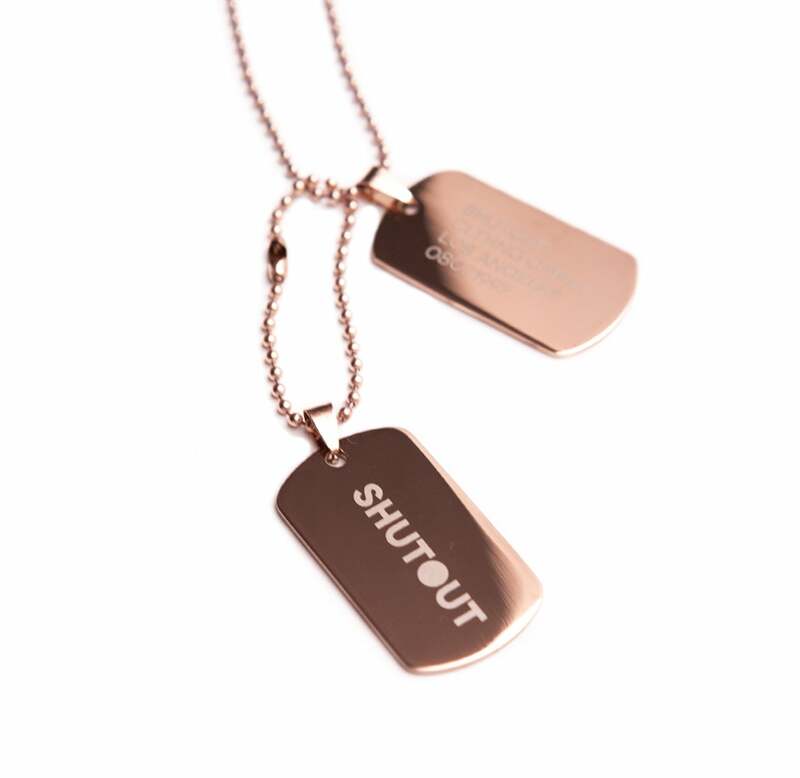 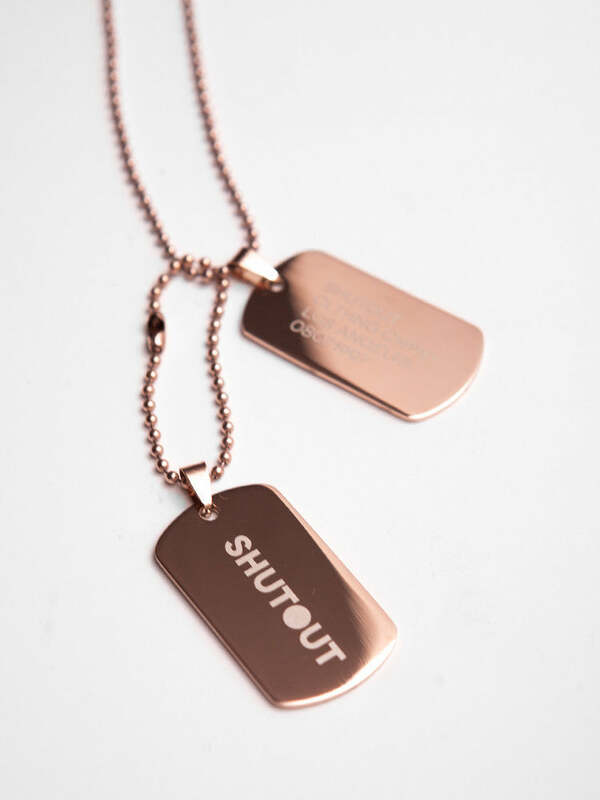 Shutout Clothing’s original dog tags are the essential accessory to complete your look. 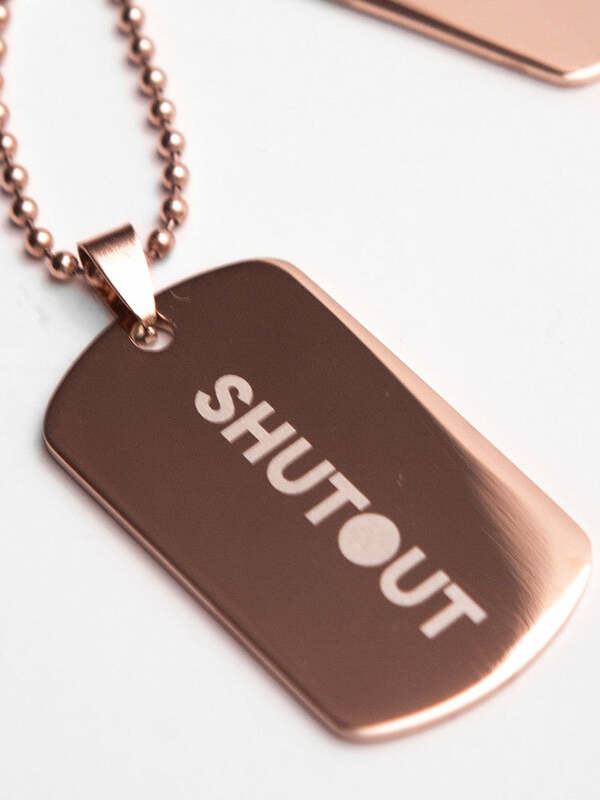 Offered in Black and our signature Rose Gold colored steel it may be hard to pick a favorite. 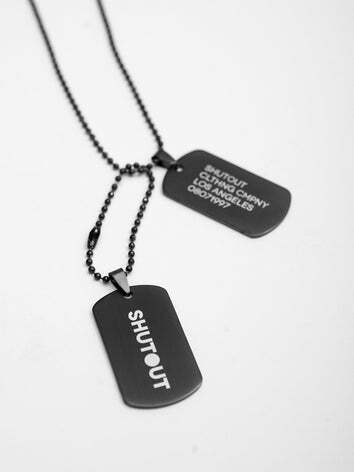 Choosing one of each will remove any doubt of a misguided decision. 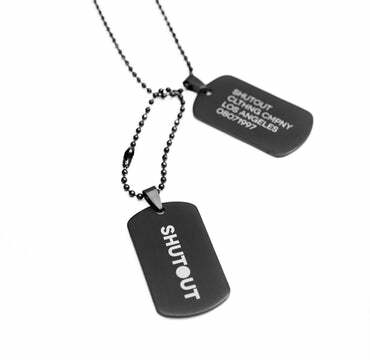 Order yours today as these sell out quickly every time they're in stock.